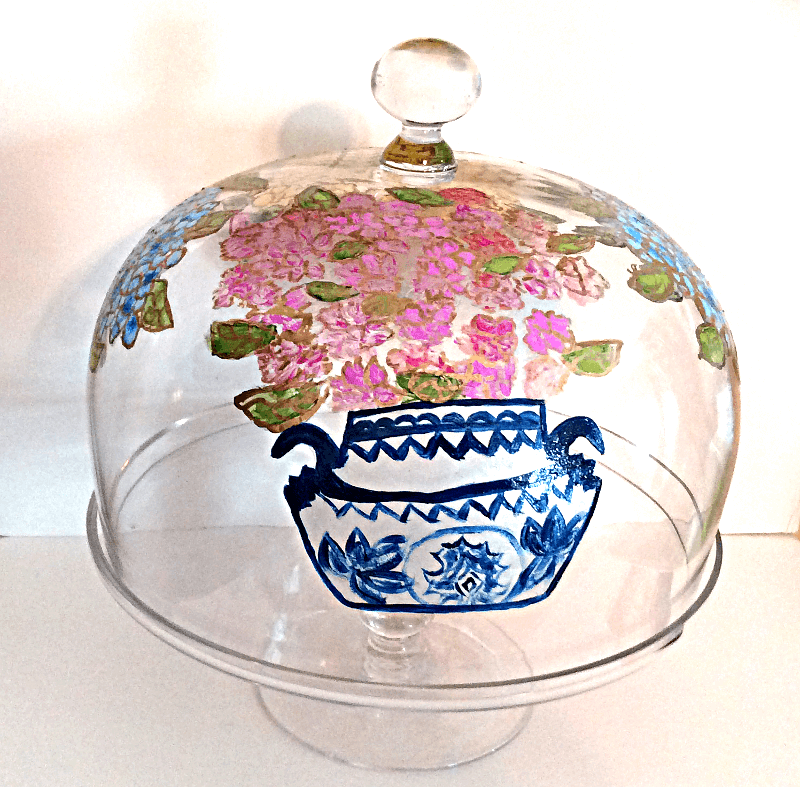 Clearly Susan's Cake stand pedestal hand panted in lovely pink impatiens flowering from a blue and white Chinese bowl. This adds a unique touch to anyone's dining room table. We can match any design that you like to go with your kitchen, china, dining room or fabric. Stand measures 12-in. across and the dome cover is 10-in. high. Also great for keeping quiche, fruit and hors d'oeuvres. Put the spotlight on everyone’s favorite course with these stately cake stand pedestal which are hand blown glass from Poland and Italy. We have several styles to choose from that we are sure that you will love. Clearly Susan loves to hand paint different designs, but the most fun we have is when you choose a design of your own. What can we create together? Contact me.